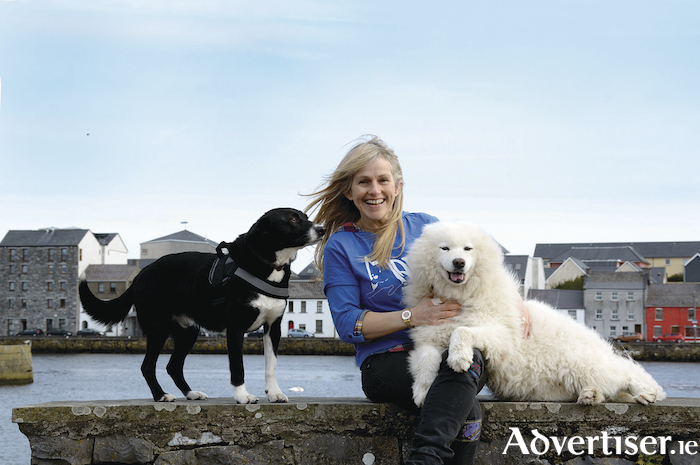 Sharon Shannon pictured at the launch of the 2018 MADRA Dogathon. The event takes place on Sunday, May 27 at 1pm from the Claddagh to Blackrock and all money raised will go to the Connemara-based dog rescue and adoption charity. MADRA are hoping for a record breaking year, aiming for over 1,000 paws on the prom in what is their biggest fundraising event of 2018. It has been a particularly difficult year for MADRA. An accident in February on icy roads caused their canine ambulance to career into a ditch. While the driver and dogs were unharmed, the specially modified van was written off beyond repair. The organisation has been overwhelmed with the support they received to replace the ambulance and are hoping this year’s Dogathon will be better than ever. “The event is aimed at everyone and will be a lovely family fun day out,” explains MADRA General Manager, Jonathan Kent. “It’s a great event for dog owners and dog lovers alike. It’s a wonderful way to see breeds of all shapes and sizes – and how they interact with one another. Registration is €10 per adult, €5 per child, or €25 for a family (two adults and two children ). All dogs go free, but participants are encouraged to raise sponsorship to help MADRA continue to find new homes for unwanted, neglected, and abandoned dogs. Registrations take place on Dogathon day, May 27 from 11am at the Claddagh Hall.